I just might be a Big Hero! I need to work on judging a book by its cover…or rather, judging a movie by its poster. Prime example…Big Hero 6. When it came out in theaters, I didn’t bother giving it one thought because of the advertisements and movie poster’s I had seen for it. Eventually, it made it’s way to the discount theater, which my daughter and I frequent quite a bit. We had reached a point where we had seen pretty much every movie there (for children), except Big Hero 6. Honestly, I didn’t think it would be that great and I thought it was more of a movie for little boys. I just didn’t think that my little one would be interested, and let’s be honest, I didn’t think I would be either, for that matter. One Saturday afternoon, we decided on a whim, to go to the movies. I told her prior to going that the only thing left was Big Hero 6. She reluctantly agreed to go, as long as I added a clause that popcorn and drinks would be consumed during the movie. Just a side note… I don’t remember getting popcorn or drinks at every single movie that I went to when I was younger,, but hey, that’s another story for another day 🙂 . So here we are at the movie, well into the movie, close to the end of the movie, and do you know what? I am crying my eyes out! Seriously, I was in complete shock! I was happy that I was able to see it at the theater instead of DVD. Funny thing, the day after the movie, we ended up renting it on Red Box…3 days in a row! Needless to say, she and I are both IN LOVE with Baymax! So much so, that my daughter threw into her birthday party suggestions (for next year) that she could even have a Big Hero Six birthday party. It was unexpected, but I love the idea. Now, come party time next year, I’m sure her mind could change, but can’t a Mama dream? As I wandered through Facebook, I ran across a video for Baymax cookies. The video seems super simple, however, I’m sure I’ll manage to find a way to mess them up 50 times before I get one right. Then I figured I should just design a cupcake topper instead. 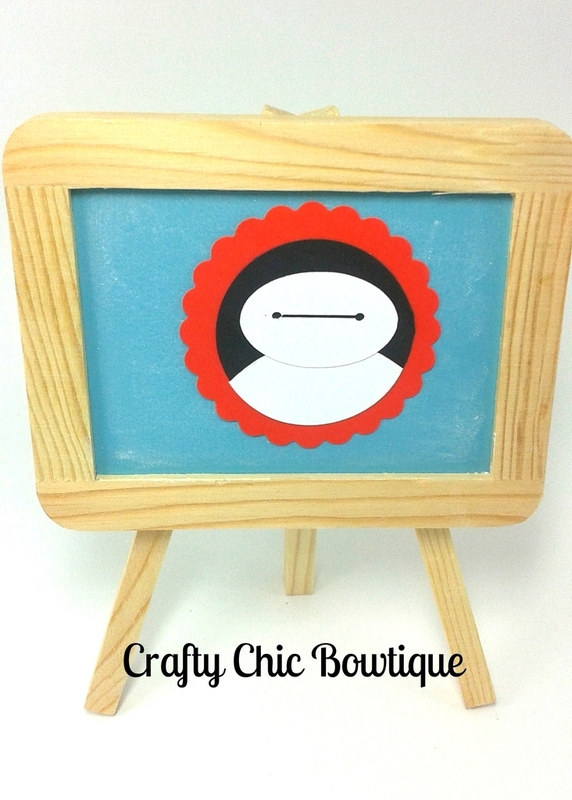 It’s less time in the kitchen, and Baymax is just a series of shapes. 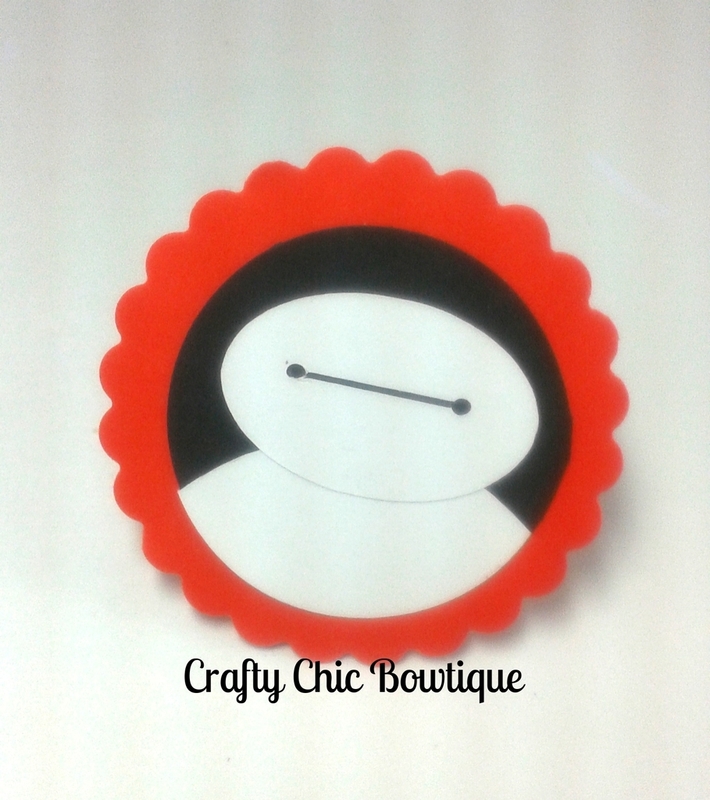 After a couple of attempts, I finally came up with something I am happy with, and more importantly, when I showed it to my daughter, she flipped and said, “Mommy, you nailed it!” So I’m guessing, it’s good and actually LOOKS like Baymax…what do you think? Previous I scream, you scream…for Ice Cream!